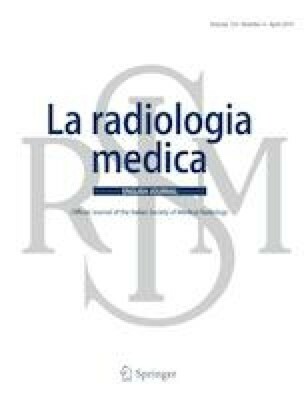 Adjuvant radiotherapy is the standard postoperative treatment after conservative surgery in high risk soft tissue sarcoma. The role of adjuvant chemotherapy is still debated. Therefore, a matched cohort analysis was performed in high risk soft tissue patients to analyse differences in terms of clinical outcome and toxicity between patients treated with concomitant radio-chemotherapy (RTCT) and radiotherapy (RT) alone. For each patient in RT group was selected a patient in the RTCT group matching for age, T stage and grading. Acute and late toxicity were recorded, overall survival, recurrence free survival and distant metastases free survival were analysed and compared between the two groups. Ninety patients were selected, half of patients underwent radio-chemotherapy and half received radiotherapy alone. During the treatment Grade 3 dermatitis was recorded in 15 (16.7%) patients, 6 (6.7%) patients associated chemotherapy and during follow up 12 (13.3%) patients developed grade 2 late fibrosis, 3 (3.3%) joint stiffness and 1 (1.1%) patient experienced a bone fracture. There were no differences in the rate of acute and late toxicity between RTCT and RT alone group. Nineteen (21.1%) patients developed local recurrence, overall 5-year local relapse free survival was 83%. There were no differences between the two groups. 29 patients developed distant metastases, 14 (15.6%) patients in the RTCT group and 15 (16.7%) patients in the RT group. The 5-year distant metastases free survival was 67%. Age > 65 years was the only independent factor affecting distant recurrence (HR = 5.7, 95% CI 2.7–11.9; p = 0.001). At the time of analysis 15 (16.7%) patients were dead, 6 (6.7%) patients in the RTCT group and 9 (10%) patients in the RT group. 5-years overall survival was: 88%. At multivariate analysis age > 65 years was an independent prognostic factor of overall survival (HR = 3.7, 95% CI 1.2–12.1, p = 0.037). Prospective randomized studies with large size population and with subgroup analysis for histological subtypes are necessary to clarify the role of adjuvant chemotherapy in soft tissue sarcoma patients. Tailored treatment has to be considered in elderly soft tissue patients to guarantee a better outcome in this high risk and fragile population.